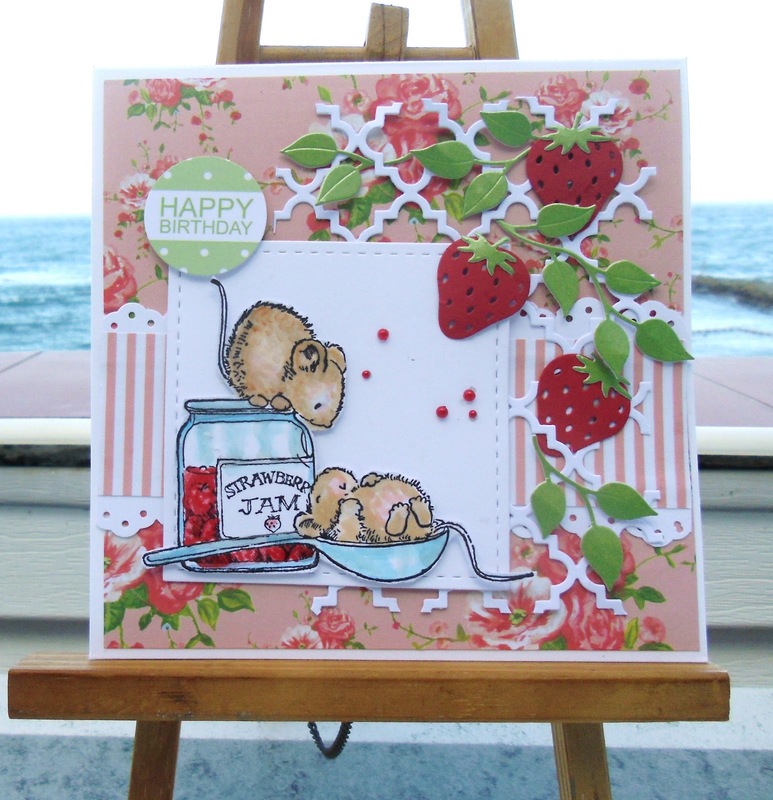 A beautiful card Sylvie, such an adorable image and super design - your strawberry embellishments are perfect. Have fun with your Granddaughter. These mice are so sweet. I love the summery colours and those strawberries. It's a shame I'm alergic to them or I might just have had the urge to nick some off your card. Lol. Hugs Mrs A. Beautiful card, the mice are so cute! The strawberries with the trellies looks great. 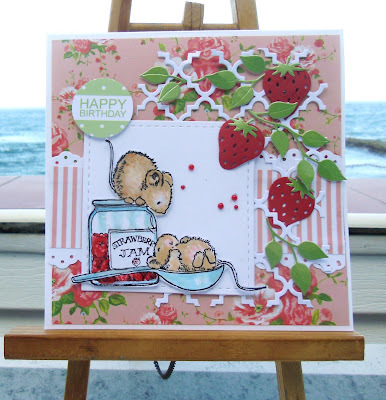 Thanks for being our guest designer at Crafty Friends this challenge. Your card is absolutely gorgeous… Thank you so much for joining in our ‘Anything Goes’ challenge and making your beautiful card for our Guest Designer Spot, we have enjoyed you joining our design team. We hope you will join us again in the future at Crafty Friends. This card is so sweet. I can see why it is your favourite!